This past weekend, my daughter was singing a song but I wasn’t sure what it was. I must say though that it was the most adorable sounding rhyme ever to come out of her mouth. 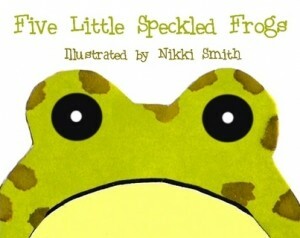 So in about 1/3 of a second, Google was able to tell me it was Five Little Speckled Frogs (book or song). Of course I was quite excited to been able to find it and learned something about my daughter. I was thinking that we really do have access to anything – anytime and anywhere. While I’m certainly very skilled at finding anything that exists online (it’s been my world for the better part of 17 years), I’m still amazed everyday at the growth of information out there. People like you and me hemorrhaging information that’s being saved, commented on, indexed, sliced and … ok I’m stopping myself before I actually say the rest of that statement. With all this information out there, it’s so easy to be completely sidetracked at anytime. It’s very easy to push people aside because you have to check something RIGHT NOW! With the right focus though, there’s really no stopping the amount of things you can learn. Most importantly though, it really gives us a huge opportunity to better connect with children. I’m really happy to know that I was able to connect in some way with my daughter even though I wasn’t with her at that moment. I really look forward to going through the education system again as she grows up. How do you use information to better connect with children? Do you have struggles with disconnecting from online? I use information on parenting to better connect with my daughter. I learned a lot in the last months and I believe my relationship with her is getting better. It´s so hard to disconnect though… I was getting too anoying for my daughter. It was like “I´ll stay online just for another while (let me research on better parenting while I ignore your needs)”. But I´m getting much better. At the times she is playing by herself and I connect, I´m ready to simply close the laptop when she is ready to hang out with me. That’s great Marilia. It really is easy to get caught up in distractions.